NatWest T20 Blast Patch EA Sports Cricket 07 Download. 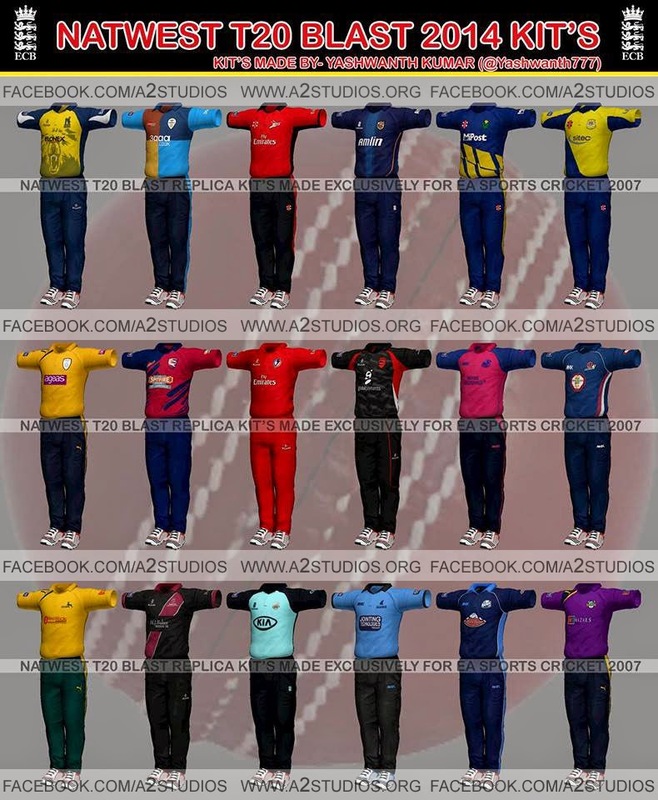 Here comes NatWest T20 Blast Kits, Roster & Faces 2014 Patch for Cricket 07. 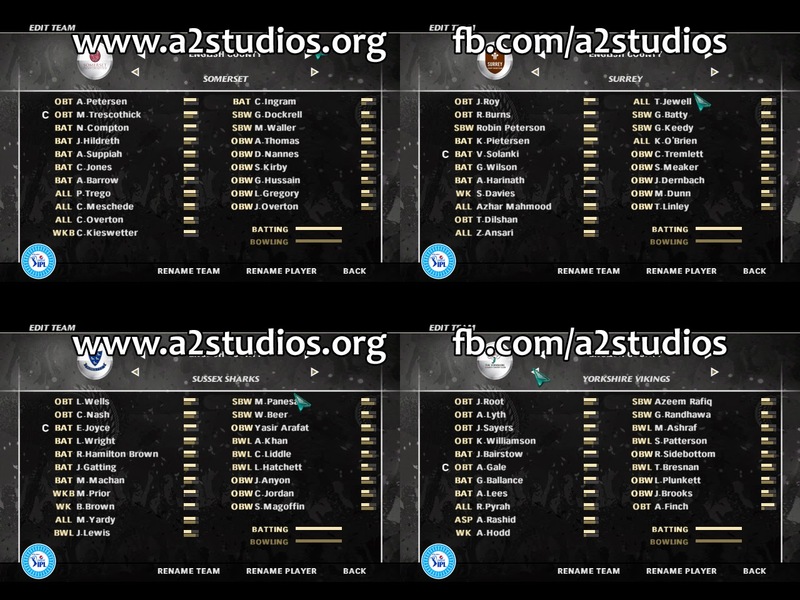 County Cricket lovers, Download NatWest T20 Blast 2014 Kits, Roster and Faces Patch for EA Sports Cricket 07 Game. 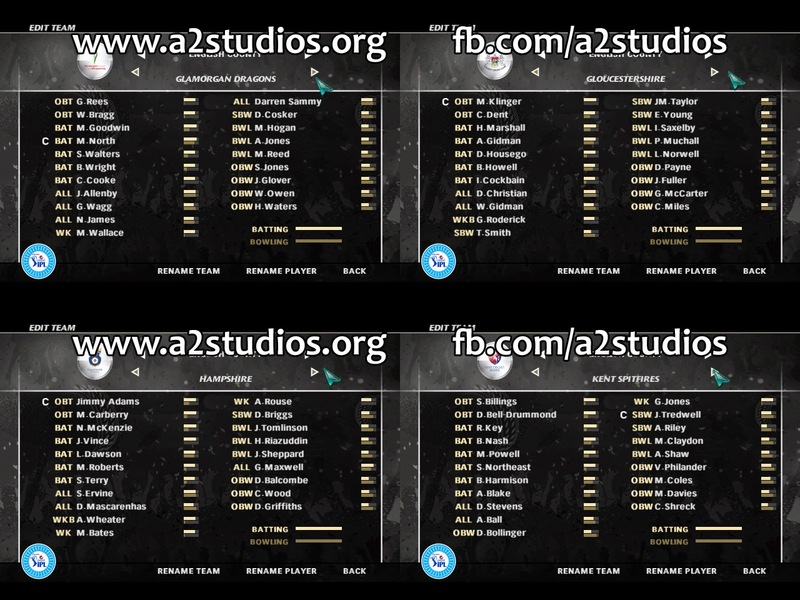 A2 Studios brings another high profile roster patch for its fans. 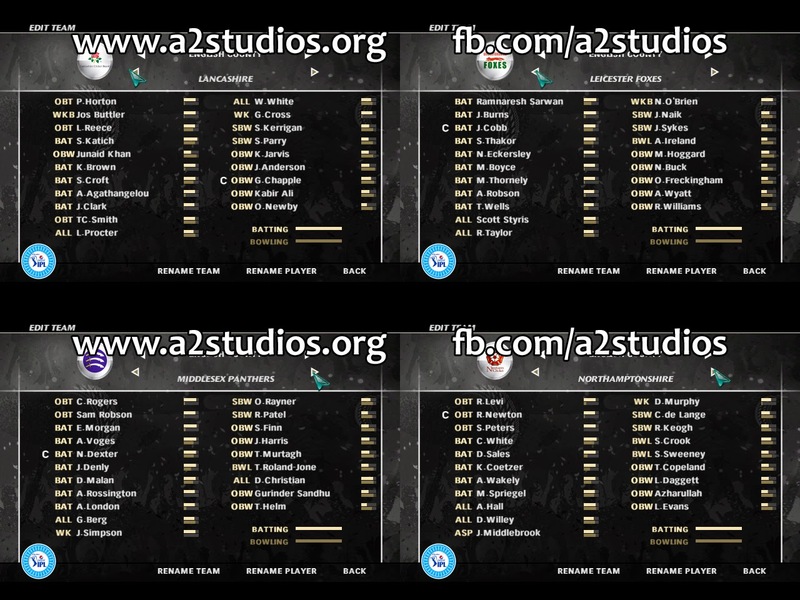 This Roster is fully compatible with NatWest T20 Blast Kits Patch 2014 By Yash Kumar, released earlier. 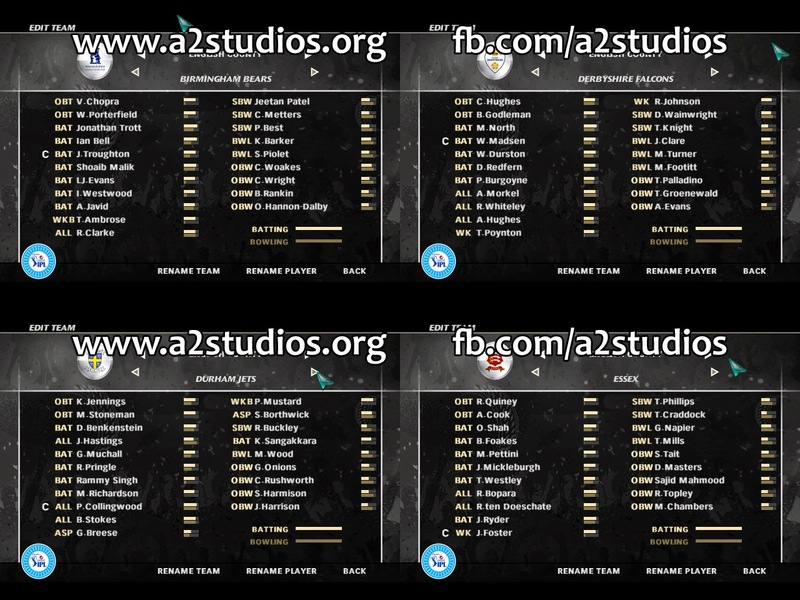 This roster updates all the county teams into NatWest t20 Blast 2014 Squads and Lineups. This also includes Facepacks of all prominent stars aound the world! 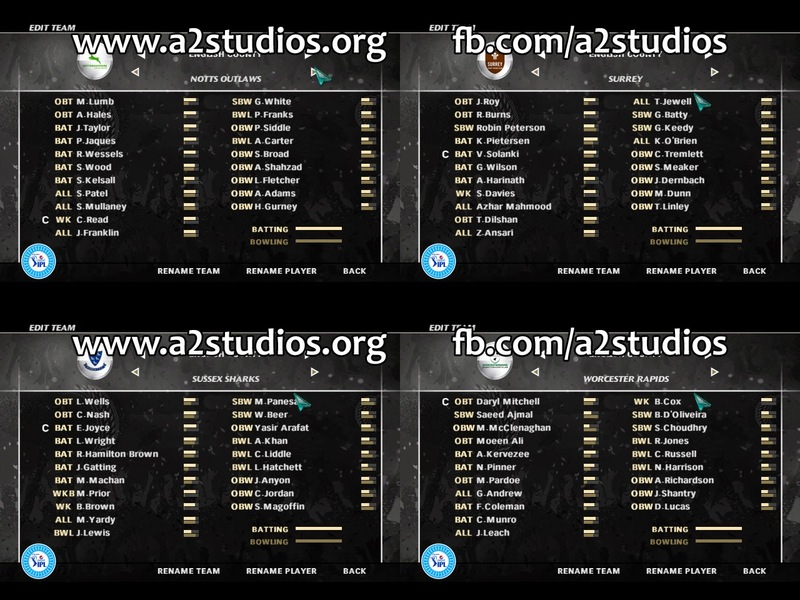 You must install AC Studios' 256 Batpack to play it without async load of .fsh error!